A female overseas Filipino worker (OFW) lost cash, jewelry and other valuables after checking in at a hotel with a boyfriend she met on Facebook. The stolen items were supposed to be her pasalubong and Christmas gifts to family members who were waiting at home. Unfortunately, the unidentified man took everything from her baggage and fled while she was out to buy something. "OFW GALING DUBAI KAKAUWI LANG NAG HOTEL SILA AGAD NG BF NYA NA NAKILALA LANG SA FACEBOOK. PERO NDE NYA AKALAIN PAGNANAKAW LANG PALA ANG MOTIBO. LAHAT NG GAMIT PERA AT ALAHAS NA NASA BAGAHE NYA AY TINANGAY NG BF." 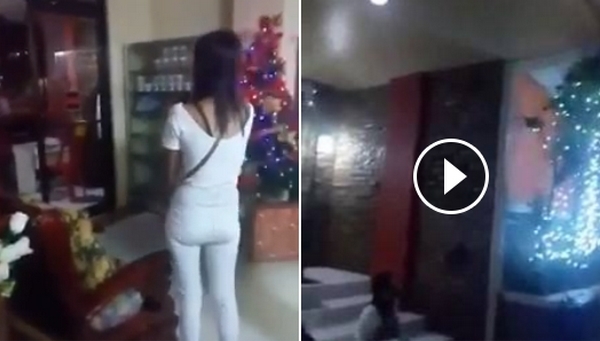 The video has gone viral as it draws mixed reactions from netizens, some of whom blamed the OFW for trusting a man she only met through social media.